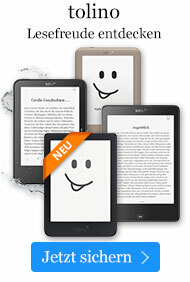 Buch € 60,49* inkl. MwSt. 1. The Data Warehouse. Business Intelligence. The Data Warehouse. Decision Support Systems. Summary. Glossary. 2. Object-Oriented Design. The Development Process. Metadata. The Objective of Objects. Summary. Glossary. 3. Analysis and Design. The Definition Phase. The Analysis Phase. The Design Phase. Summary. Glossary. 4. The Implementation Model. Dimensionality. Dimensionality and Information Systems. Star Schema. Summary. Glossary. 5. Dimension Tables-the Nouns of the Data Warehouse. Dimension-Table Characteristics. Slowly Changing Dimensions. Constellations and Conforming Dimensions. Snowflakes. Dimension of Time. The Dimensions of BBBC. Summary. Glossary. 6. Fact Tables-The Verbs of the Data Warehouse. Fact Tables. Factless Fact Tables. Degenerate Dimensions. Degenerate Facts. Heterogeneous Fact Tables. BBBC Fact Tables. Summary. Glossary. 7. Implementation Considerations. Parallel Processing. Bitmapped Indexing. Star Query Optimization. Summation Tables. Web-Enabled Data Warehousing. The BBBC Data Warehouse. Summary. Glossary. Appendix A: The Spacially Enabled Data Warehouse. Analyzing Patient Needs. Appendix B: Extraction, Transformation, and Loading. The ETL Strategy. Appendix C: Metadata Standards. The Open Information Model. Common Warehouse Metadata. Appendix D: Conventional Wisdom, Tips, Hints, and General Advice. Glossary. Index. William Giovinazzo has been an Oracle instructor, a software engineer, and a systems analyst, and has worked on every side of a data warehouse, including marketing, sales, development, implementation, and maintenance. Now a Business Intelligence Evangelist at Oracle Corporation, he regularly writes columns and speaks on data warehousing and Oracle technologies.